Washington (United States) (AFP) – The outgoing head of the CIA appeared to confirm Thursday reports that around 200 Russian mercenaries were killed in February during a clash with US-led forces in Syria. “In Syria, a handful of weeks ago, the Russians met their match and a couple hundred Russians were killed,” Mike Pompeo said, during a Senate hearing on his nomination to become US secretary of state. Pompeo did not go into more detail, but media reports have suggested that Russian mercenaries working for the so-called “Wagner Group” were involved in the February battle. Russia acknowledged at the time that five of its citizens had died when US-led coalition forces working alongside Kurdish militia called in air support to repulse an attack by Syrian regime forces. Washington said the coalition had killed at least 100 “pro-regime” forces and a group of Russian investigative bloggers established the identity of dozens of named Russian fatalities. 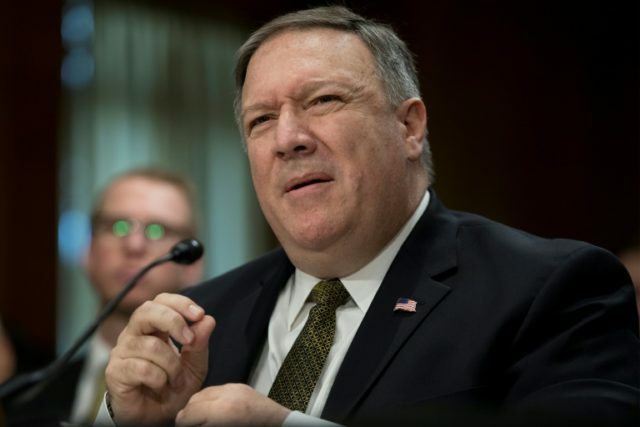 President Donald Trump has nominated Pompeo to become Washington’s top diplomat and his confirmation hearing came just as the White House mulls a strike to punish Assad for an alleged chemical attack.